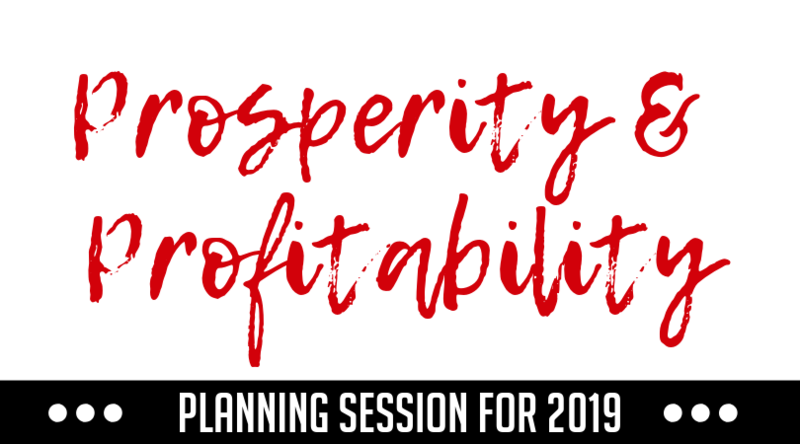 Get a Head Start on 2019 By Planning Now! This is a working session, not a lecture. Be prepared to work, think, plan, ask questions and get feedback. Registered attendees will get detailed prep ideas the week before the workshop. => Yes, a virtual version will happen in January 2019. => Yes, you may use your DIY Passport to attend (2 stamps). => Yes, you may use Mastermind money to pay for this. Need to be with your tribe, but can't make the local on-site Mastermind meeting? The virtual Mastermind meeting gives you (virtually) the same experience. Except you don't have to drive, find a parking spot, or even get dressed. We're start the meeting with a Haiku introduction. Quick, easy, super simple. Haiku is a three-line poem with seventeen syllables, written in a 5/7/5 syllable count. Powerful when you get it right. Next, we'll look at one of my best thinking tools: the bubble chart. You'll find out why I love it and how it can help YOUR creativity and productivity. Then it's on to laser coaching and masterminding, followed by a spin of the prize wheel. Someone will win, and it could be you. If you're there, of course. See you there? DIY Weekly Member Update · November 12, 2018 · #410 © 2018 Veronika Noize. All rights reserved. Want to WOW Your New Clients? Of course you want to WOW your new clients! Because wowed clients pay more, stay longer, and refer more great high value new clients. Win, win, win, baby! So how do you WOW your new clients? Find out all the details in this month's on-site seminar at the DIY on Friday, November 9th at 12 PM (noon). This fun class will show you exactly what to do. You'll get a step-by-step guide, plus the one question you must ask yourself before you create a new client onboarding process, and more during the class. Come on in to the DIY on Friday to see the slide show, get the notes and answers to your questions. Come for the morning Mastermind meeting, and stay for the class. It's a good use of your time. Next Level Networking FOR THE LAST TIME!! How do you take your networking to the next level? Spoiler alert: It's what you say when you show up. Learn the perfect introduction formula in this class! Join me on Wednesday, November 7th from 9:30-11:30 AM at the DIY Marketing Center in downtown Vancouver. Members are on the guest list; you don't even need to use the coupon code because you are a super cool member! Warning: This is the last time this particular networking class will be offered! DIY Weekly Member Update · November 5, 2018 · #409 © 2018 Veronika Noize. All rights reserved.